Prizm Media Makes Deloitte's 2015 Technology Fast 500 - Prizm Media Inc.
To be eligible for Technology Fast 500 recognition, companies must own proprietary intellectual property or technology that is sold to customers in products that contribute to a majority of the company’s operating revenues. Companies must have base-year operating revenues of at least $50,000 USD or CD, and current-year operating revenues of at least $5 million USD or CD. Additionally, companies must be in business for a minimum of four years, and be headquartered in North America. Prizm Media is extremely proud of all those who contributed to this momentous achievement. We are pleased to say that we placed 454th and was in the company of large technology companies such as LinkedIn Corporation, Mashable, and Jive Software. 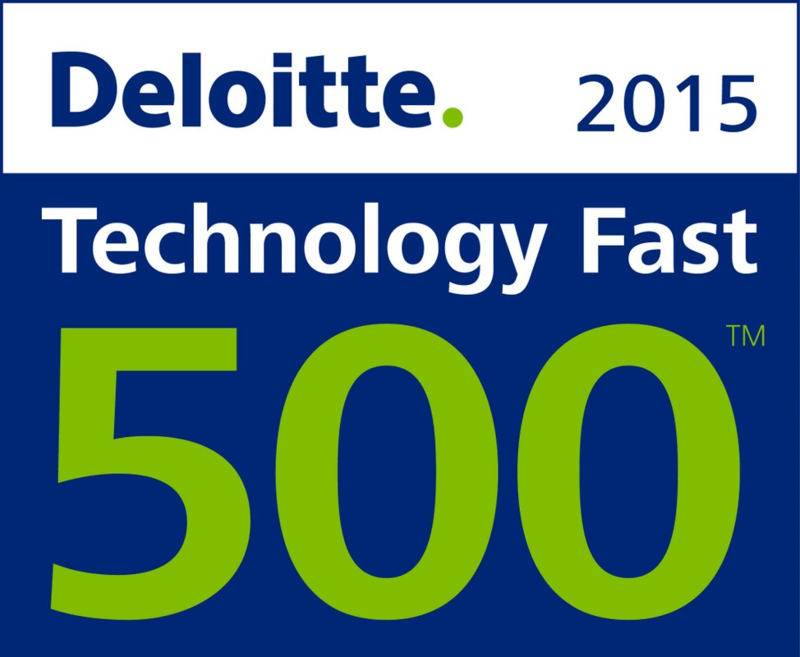 Placing on the Fast 500TM highlights the growth of our company and the value we are delivering to clients. Our leadership team has been a tremendous contributor to the success of our sales strategy, which is fueled by our lean operations, consultative approach and large focus on technology, allowing us to gain a 1229% revenue growth from 2011 to 2014. The hard work, our employees, have made, cannot be ignored. Our employees have been stupendous, consistently rising far above expectations. From helping us create strong relationships with clients, outperforming in customer service, to continuously building proprietary technology to keep Prizm Media not only relevant but ahead of the pack. Our employees make a huge contribution to helping us achieve our mission of making health services and products more accessible to everyone. “We are extremely humbled for being recognized in this prestigious list despite our company`s size. It`s a great testament of our amazing team, clients, and proof that our continuous investment in technology and innovation are key to the growth and evolution of our firm.” Says Zeeshan Hayat. We’d like to thank Deloitte for recognizing our firm among some of technology’s well known forces and in doing so helping bring to light how a small technology firm such as Prizm can make a significant socio-economic impact by removing potential barriers that prevent people from receiving the supplies and medications they need to treat their chronic health conditions. We hope to continue to develop more relationships with independent pharmacies and durable medical equipment companies well into the future and to continue growing within the healthcare and technology field. Thank you to everyone who has supported us over the years.